Every parent needs daily simple actionable ways to connect with their child to improve on connection. There are tons of ways to connect with your child. The key is finding what feels organic to you and your family. What works best for you and your child may be completely different to what I’ve found helpful. It’s the little things that count. It’s about making connection an everyday goal. Connection happens through all the little ways we show we hear, value, care, love and respect our children. It’s participating in activities together – reading together, doing art, playing a game or just being silly together. Connecting can be as simple as a being fully present and listening in a conversation. It’s watching play when you are unnecessarily busy. It’s telling them and showing them you LIKE them as well as love them. It’s how they hear you discuss them with others. It can sometimes happen as fast as a loving, knowing smile. It doesn’t (and shouldn’t, in my opinion) have to be a set “connection time” but recognising the moments you can capitalise on. I find making otherwise mundane times a moment for connection (car trips, meal prep, bed time) is helpful. Most parents have an unknown love language – how we show and tell our children we love them beyond those words. It’s about making them a priority. 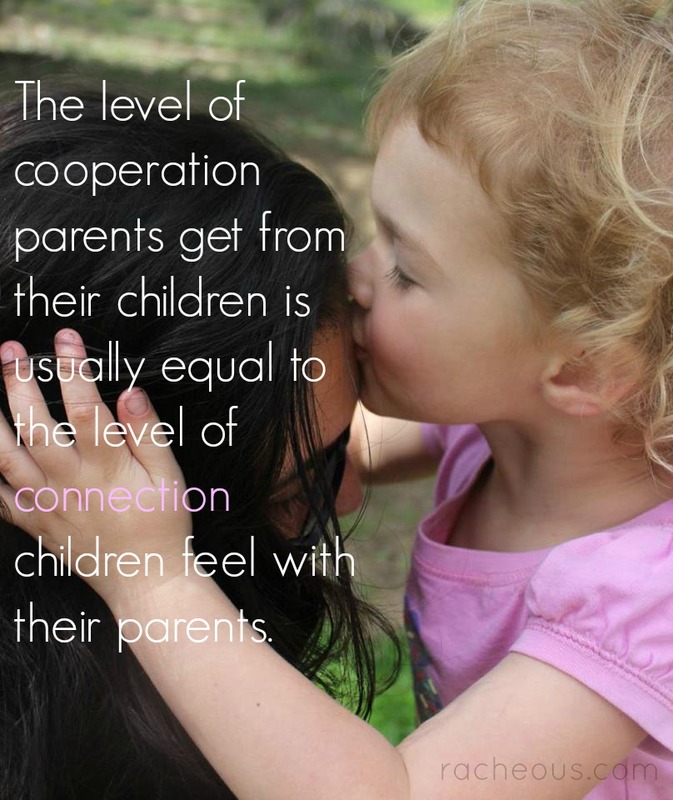 Consistent connection is so important and a matter of being truly present with your child whenever you can. It’s important to learn the ways that help your child feel connected to you. Is your child particularly affectionate? Do they enjoy talking out their thoughts? What are they interested in which you can participate in or encourage them in? Find what is going to help them and make a concerted effort to work more of that into your every day life. 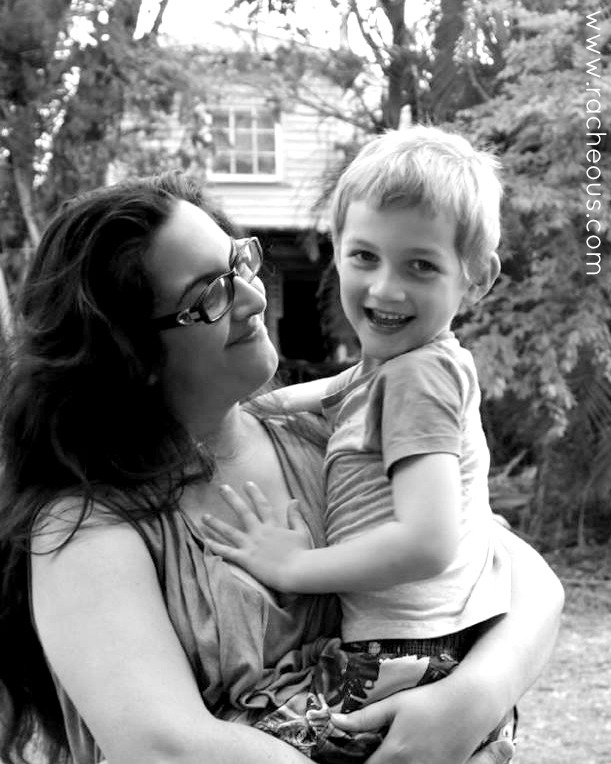 I felt it was quite easy to establish connection and parent respectfully when I could take care of my son alone: he only stayed with me until the age of 4 and everything went right. But then he started to stay longer with granny (whose priorities were different from mine) and attend the kindergarten and a brother arrived. I wouldn’t have forced him to go to kindergarten (as I didn’t the previous year when he just wanted to stay with me), but now he loves it so much that he cries when he can’t go. However he must be receiving contrasting messages from the way they behave there. I don’t want to give kindergarten all the faults (even if it has a lot) because I needed it, even to have more time to dedicate to the newborn (the elder one spends there 3/4 hours a day), but I end up fearing the moment he comes back home because he will certainly be angry/tired/hungry. When it was him alone, I could kneel down, cuddle him, take off his shoes when he didn’t want to do it himself and take him to the kitchen to have lunch in peace, but now the newborn physically requires my attention and I also think he should not be exposed to such a nervousness of his sibling, so I often get angry at him, and it’s also due to tiredness (sleep deprivation an refusal to have other people around to help who could share discordant views of parenting) but it’s also due to the fact that I consider him a person, a very intelligent boy who you can talk to as an adult and can’t accept when he pretends not to understand what you tell me or e.g. goes on with his little odious yells. 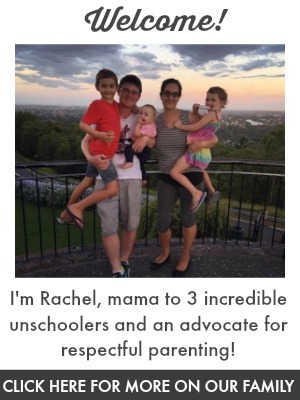 Ok, I wrote so much, and maybe an unschooling mum as you are will point out the issue on the fact that we send him to kindergarten. I considered the idea of homeschooling (and however I would have kept him home if he had just cried a tear or showed sadness/suffering) but I must confess I now need more time for me, just a few hours break or I’d be too nervous, not to mention the fact that I no longer have the energy and fantasy to invent new things to do every day as I have been doing til now. Well, the thing is I feel we are loosing connection, and I only have two kids and one of them is out of home in the morning. There are people like you who share the whole day with various children, so there must be something to do to better our situation. Do you have moments when you feel this way? I love that you shared this because I have 2 little ones & many of these well-meaning articles assume there’s just one to care for “connect” with. That’s challenging to me because they are only 11 1/2 months apart.